Diversity, inclusion and equity are complex, interdependent and interlinked concepts and embedded in social justice. Diversity summarises numerous differences that exist among people. It means not only people of differing race and culture but also differing languages, religions, values, abilities, socioeconomic status, gender and any other aspect that makes people different from one another. It, therefore, recognises that each person is different even if they belong to the same ethnic group, community or family. Diversity is an evolving concept in inclusive education. While it once referred to children from different ethnic backgrounds, it now encapsulates every kind of individual difference that exists for children, families and professionals. Diversity is the celebration of difference and the acknowledgement that difference is complex and that it exists in some way for every child. 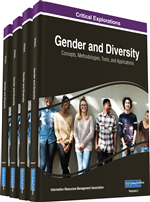 Diversity refers to attributes that contribute to each person's uniqueness, such as social class, gender, occupational status, income, sexual orientation, ability, disability, religion, and education. When we talk about diversity in inclusive education, we refer to the right of every child to be socially, academically and physically included in all facets of life (Mastropieri & Scruggs, 2013). Inclusivity does not mean uniformity among all people, but a society which makes room for diversity and nurtures collaboration and cooperation (Dressel & Hodge, 2013). To achieve social integration, the voice of all people articulating their needs and concerns needs to be heard. All members of society from whichever background must have a say and a stake (Schwartz, Weinberg, Hagenbunch & Scott, 2008). Inclusivity creates and maintains stability as well as a readiness to embrace change where and whenever necessary. In an inclusive society all its members not only have a right to education but also take part in it. The commitment of each and every member in the process is most significant in creating inclusive settings (Deloitte, 2011). Like inclusion, diversity is also inseparably associated with equity. The concept of equity is principally concerned with providing each and every child with access to fair, just and non-discriminatory education. In inclusive settings equity means providing high-quality education to diverse learners (Ontario Ministry of Education, 2014). Each child has a unique learning and development path that may require individualised or additional support for him or her to be fully engaged in quality education (Dressel & Hodge, 2013). Equity does not mean providing the same experiences for every child, but requires teachers and caregivers to identify and address barriers to learning. It is clear that every child has a different learning context that can result in barriers to learning (Mastropieri, & Scruggs, 2013). Challenges such as poverty, gender, language, culture, race, ability, disability and living context mean that each child requires individualised, differentiated support to reach his or her full potential. Individualised and diverse support is especially important for the meaningful inclusion of children with diverse needs (Page, 2007). Equity and diversity are based on every child’s right to be a valued member of the learning community and to be supported to engage in all learning settings. The relationship between diversity, inclusion and equity is that in conjunction these values ensure that learners from various backgrounds are all accepted and treated both fairly and uniquely (Novak & Bartelheim, 2012). Today’s teachers are challenged to expand their list of teaching strategies to meet the needs and strengths of learners from a great diversity of circumstances and cultures (Williams, 2013). These learners either face societal discrimination or live in poverty, or both. The ways in which we teach these learners exert a powerful influence on their linguistic, social, cognitive, and general educational development. Many effective instructional approaches build on learners’ backgrounds to further the development of their abilities. It is critically important to recognise that the use of effective instructional practices will improve achievement for all learners, including those who are at risk. The implementation of sound, action research-based strategies that recognise the benefits of diversity, inclusion and equity can build a better future for all learners (Williams, 2013).